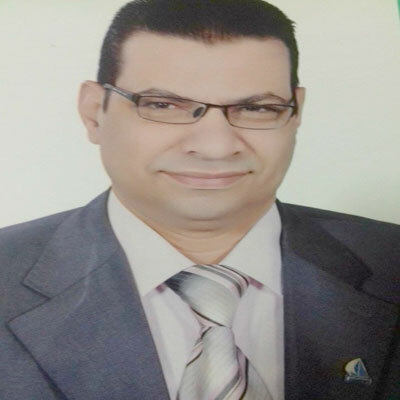 Prof. Aly Soliman Hamed Derbalah is currently working as Professor at Kafr-El-sheikh University, Egypt. He obtained his Ph.D. in Environmental Science from Hiroshima University, Japan in 2004. He also worked as Demonstrator, Assistant Lecturer and Assistant Kafr-El-sheikh University, Egypt. He is member of The Scientific Society for Environmental, The Egyptian Society of Insects Science, The Egyptian Society of Experimental Biology, and The Egyptian Society for Biological Control of Pests. He is also serving as editor and reviewer of many journals. His field of interest related to Analysis, Fate and Remediation Technologies of Pesticide Residues in different Environmental Matrixes. He has published 30 articles in international journals as well as 7 papers in conferences contributed as author/co-author. He also attended number of seminars and workshops. He also supervised 2 MSc and 1 PhD student. He also published 2 English books and 2 Arabic books. Shenashen, M., A. Derbalah, A. Hamza, A. Mohamed and S. El Safty, 2017. Antifungal activity of fabricated mesoporous alumina nanoparticles against root rot disease of tomato caused by Fusarium oxysporium. Pest Manage. Sci., 73: 1121-1126. Mohamed, A., A. Hamza and A. Derbalah, 2016. Recent approaches for controlling downy mildew of cucumber under greenhouse conditions. Plant Protect. Sci., 52: 1-9. Hamza, A., S. El-Mogazy and A. Derbalah, 2016. Fenton reagent and titanium dioxide nanoparticles as antifungal agents to control leaf spot of sugar beet under field conditions. J. Plant Protect. Res., 56: 270-278. Hamza, A., A. Mohamed and A. Derbalah, 2016. Unconventional alternatives for control of tomato root rot caused by Rhizoctonia solani under greenhouse conditions. J. Plant Protect. Res., 56: 298-305. Hamza, A., A. Mohamed and A. Derbalah, 2016. Fenton as advanced oxidation process for controlling downy mildew of cucumber under greenhouse conditions. J. Crop Protect., 5: 483-496. Derbalah, A., A.A. Ismail and S.M. Shaheen, 2016. The presence of organophosphorus pesticides in wastewater and its remediation technologies. Environ. Eng. Manage. J., 15: 1777-1787. Ismail, A.A., A.S. Derbalah and S.M. Shaheen, 2015. Monitoring and remediation technologies of organochlorine pesticides in wastewater. Polish J. Chem. Technol., 17: 115-122. Massoud, A.H., A.S. Derbalah, H. El-Shshtaway and F.M. Sleem, 2014. Efficacy, persistence and removal of chlorpyrifos-methyl after application against cotton leaf worm in soybean. J. Mater. Environ. Sci., 5: 1398-1405. Massoud, A., A. Derbalah, H. El-Shshtaway and F. Sleem, 2014. Efficacy of methomyl after application against cotton leaf worm in soybean and removal kinetics of its residue. J. Environ. Sci. Technol., 7: 294-304. Derbalah, A.S., A.A. Khidr, A. Taman and H.Z. Moustafa, 2014. Laboratory evaluation of some Non-traditional and conventional methods to control the pink bollworm Pectinophora gossypiella. Egypt. J. Biol. Pest Control, 24: 263-268. Derbalah, A., A. Ismail, A. Hamza and S. Shaheen, 2014. Monitoring and remediation of organochlorine residues in water. Water Environ. Res., 86: 584-593. Derbalah, A.S., S.M. El-Moghazy and M.I. Godah, 2013. Alternatives methods to control of sugar beet leaf spot disease caused by the fungus Cercospora beticola (Sacc). Egypt. J. Biol. Pest Control, 23: 247-254. Derbalah, A.S., G.A. El-Kot, Y.M. Hafez and A.F. Omar, 2013. Non-traditional methods to control choclate spot of faba bean caused by Botrytis fabae Sard under greenhouse conditions. Egypt. J. Biol. Pest Control, 23: 137-144. Derbalah, A.S. and A.A. Ismail, 2013. Efficiency of different remediation technologies for fenitrothion and dimethoate removal in the aquatic system. Agrochimica, 56: 234-246. Derbalah, A., A. Ismail and S. Shaheen, 2013. Monitoring of organophosphorus pesticides and remediation technologies of the frequently detected compound (chlorpyrifos) in drinking water. Polish J. Chem. Technol., 15: 25-34. Derbalah, A. and A. Ismail, 2013. Remediation technologies of diazinon and malathion residues in aquatic system. Environ. Protect. Eng., 39: 135-147. Shaheen, S.M., A.S. Derbalah and F.S. Moghanm, 2012. Chemical remediation of heavy metals contaminated waters: The removal of dissolved Cd, Cu, Ni, Pb and Zn by zeolite. Int. J. Environ. Sci. Dev., 3: 362-367. Hamza, A.M., M.F. El-Nady and A.S. Derbalah, 2012. Identification and mechanism of echinochloa crus-galli resistance to fenoxaprop-p-ethyl with respect to physiological and anatomical differences. Sci. World J., 10.1100/2012/893204. El-Nady, M.F., A.M. Hamza and A.S. Derbalah, 2012. Echinochloa colonum resistance to bispyribac-soduim in Egypt-occurance and identification. J. Plant Protect. Res., 52: 139-145. Derbalah, A.S., Y.H. Dewir and A.B. El-Sayed, 2012. Antifungal activity of some plant extracts against sugar beet damping-off caused by Sclerotium rolfsii. Ann. Microbiol., 62: 1021-1029. Derbalah, A.S., S.Z. Morsy, S.M. Kamel and M.M. El-Sawy, 2012. Recent approaches towards controlling powdery mildew of pepper under greenhouse conditions. Egypt. J. Biol. Pest Control, 22: 205-210. Derbalah, A.S., S.Z. Morsey and M. El-Samahy, 2012. Some recent approaches to control Tuta absoluta in tomato under greenhouse conditions. Afr. Entomol., 20: 27-34. Derbalah, A.S., S.M. Kamel, S.Z. Morsy and M.M. El-Sawy, 2012. Alternatives to control powdery mildew and early blight diseases of tomato under greenhouse conditions. Egypt. J. Biol. Pest Control, 22: 185-190. Derbalah, A.S., G.A. Elkot and A.M. Hamza, 2012. Laboratory evaluation of botanical extracts, microbial culture filtrates and silver nanoparticles against Botrytis cinerea. Ann. Microbiol., 62: 1331-1337. Derbalah, A.S., A.M. Hamza and A.A. Gazzy, 2012. Efficacy and safety of some plant extracts as alternatives for Sitophilus oryzae control in rice grains. J. Entomol., 9: 57-67. Derbalah, A.S., 2012. Efficacy of some botanical extracts against trogoderma granarium in wheat grains with toxicity evaluation. Sci. World J., 10.1100/2012/639854. El-Fakhrany, I.I., A.H. Massoud, A.S. Derbalah and M.S. Saad Allah, 2011. Toxicological effects of methomyl and remediation of its residues in a aquatic system. J. Envir. Chem. Ecotoxicol., 3: 332-339. El Kot, G.B. and A.S. Derbalah, 2011. Use of cultural filtrates of certain microbial isolates for powdery mildew control in Squash. J. Plant Protect. Res., 51: 252-260. Derbalah, A.S., M.S. El-Mahrouk and A.B. El-Sayed, 2011. Efficacy and safety of some plant extracts against tomato early blight disease caused by Alternaria solani. Plant Pathol. J., 10: 115-121. Derbalah, A.S., G.B. El Kot and A.M. Hamza, 2011. Control of powdery mildew in okra using cultural filtrates of certain bio-agents alone and mixed with penconazole. Archives Plant Pathol. Plant Protect., 44: 2012-2023. Derbalah, A.S., A.H. Massoud, I.I. El-Fakhrany and M.S. Saad Allah, 2011. Toxicological effects of organosphosphorus insecticides and remediation technologies of its residues in aquatic system b. dimethoate. J. Agric. Res. Kafr-El-Sheikh Univ., 37: 516-533. Derbalah, A.S. and S.I. Ahmed, 2011. Oil and powder of spearmint as an alternative to sitophilus oryzae chemical control of wheat grains. J. Plant Prot. Res., 51: 145-150. Derbalah, A.S. and G.B. El Kot, 2011. Cultural Filtrates of Certain Microbial Isolates as an Alternative to Powdery Mildew Chemical Control in Cucumbers. J. pestic. Sci., 36: 402-406. Zein, A.A., A. Mouhamed, M.A.H. ABD-EL-Baky, S.M. Aly, A.S. Derbalah and A.A.M. Hamza, 2010. Evolution and mechanism of rice weeds resistance to herbicides 1. Resistance of Echinochloa colonum to bispyribac-soduim with respect to its effect on chlorophyll content. J. Agric. Res., 36: 480-495. Massoud, A.A., A.S. Derbalah, A. Iman, I.A. Abd-Elaziz and M.S. Ahmed, 2010. Oral toxicity of malathion at low doses in sprague-dawley rats: A biochemical and histopathological study. Menofia Vet. J., 7: 183-196. Derbalah, A.S. and S.I. Ahmed, 2010. Efficacy of spearmint oil and powder as alternative of chemical control against C. maculatus in cowpea seeds. Egypt. Acad. J. Biolog. Sci., 2: 53-61. Derbalah, A.S.H., 2009. Chemical-remediation of carbofuran insecticide in aquatic system by advanced oxidation processes. J. Agric. Res., 32: 740-757. Derbalah, A.S., 2009. Chemical remediation of carbofuran insecticide in aquatic system by advanced oxidation processes. J. Agric. Res. Kafrelsheikh Univ., 35: 308-327. Massoud, A.H., A.S. Derbalah and E.B. Belal, 2008. Microbial detoxification of metalaxyl in aquatic system. J. Environ. Sci., 20: 262-267. El-Hamady, S.E., R. Kubiak and A.S. Derbalah, 2008. Fate of imidacloprid in soil and plant after application to cotton seeds. Chemosphere, 71: 2173-2179. Derbalah, A.S.H. and E.B. Belal, 2008. Biodegradation kinetics of cymoxanil in aquatic system. Chem. Ecol., 3: 169-180. Derbalah, A.S., A.H. Massoud and E.B. Belal, 2008. Biodegrability of famoxadone by various microbial isolates in aquatic system. Land Contam. Reclamat., 16: 13-23. Masoud, A.H., A.S. Derbalah, E.B. Belal and I.I. El-Fakhrany, 2007. Bioremediation of malathion in aquatic system by different microbial isolates. J. Pest. Cont. Environ. Sci., 15: 13-28. Shalaby, M.E., A.A. Ismail, A. S. Derbalah and Y.Z. Eid, 2006. Antifungal activities of some plant extracts against some mould fungi and their toxicological effect on Japanese Quail (coturnix coturnix). J. Pest Control Environ. Sci., 31: 740-757. Ismail, A.A., W.H. Hegazi, A.S. Derbalah, N.E. Hasan and S.A. Hamed, 2006. Toxicological and biological studies of some compounds against the two spotted spider mite, tetranychus urticae and its predatory mite, amblyseius gossipi on different host plants. J. Pest Cont. Environ. Sci., 14: 227-256. Bayoumi, O.C., M.A. Ashry, A.A Ismail, A.S. Derbalah and I.I. El-Fakharany, 2006. Monitoring or pesticide residues in bovine and buffalo milk collected from Kafr-El-Sheikh and Garbia Governorates, Egypt. J. Pest Control Environ. Sci., 14: 27-41. Ashry, M.A., O.C. Bayoumi, I.I. El-Fakharany, A.S. Derbalah and A.A. Ismail, 2006. Monitoring and removal of pesticide residues in drinking water collected from Kafr-El-Shiekh governorate, Egypt. J. Pest Control Environ. Sci., 32: 691-704. Derbalah, A.S.H., H. Wakatsuki, T. Yamazaki and H. Sakugawa, 2004. Photodegradation kinetics of fenitrothion in various aqueous media and its effect on steroid hormones biosynthesis. Geochem. J., 38: 201-213. Derbalah, A.S., N. Nakatani and H. Sakugawa, 2004. Photocatalytic removal of fenitrothion in pure and natural waters by photo-Fenton reaction. Chemosphere, 57: 635-644. Derbalah, A.S.H., N. Nakatani and H. Sakugawa, 2003. Distribution, seasonal pattern, flux and contamination source of pesticides and nonylphenol residues in Kurose river water, Higashi-Hiroshima, Japan. Geochem. J., 37: 217-232. Hosny, A.H., A.Y. Keratum, M.A. Salama and A.S. Derbalah, 2001. Fungicidal and acaricidal activity of some pesticides against Aternaria solani and Tetranychus urticae. J. Pest Control Environ. Sci., 9: 73-92. Hosny, A.H., A.Y. Keratum, M.A. Salama and A.S. Derbalah, 2001. Efficiency of some pesticides against two-spotted spider mite, tetranychus urticae and its predator Ambyseius gossipi. J. Pest Control Environ. Sci., 9: 93-108. Derbalah, A.S., A.A. Ismail and S.A. Hamed, 2001. Photodegradation of fenitrothion in water under direct and indirect conditions. J. Pest Control Environ. Sci., 13: 87-99.